Michael Amezquita, chief appraiser for Bexar County, offers insight on how homeowners could lower their taxes. Molly Cox, president and CEO of SA2020, gives us a deeper look into San Antonio voters. Ross Ramsey, executive editor of the Texas Tribune, provides details on a new proposal to raise the state sales tax by 1 cent. Brendan Gibbons, environmental reporter with the Rivard Report, discusses San Antonio Water System's (SAWS) plan to sell water to Hill Country developers. 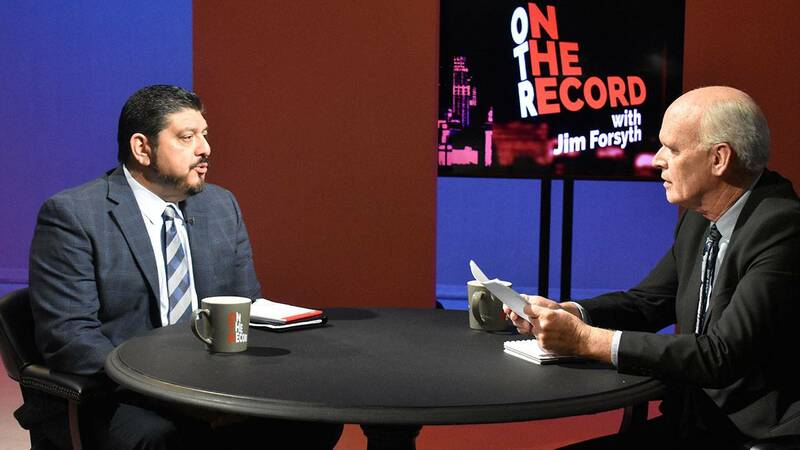 Gilbert Garcia, Express News columnist, fills us in on Julian Castro's April 10 rally.